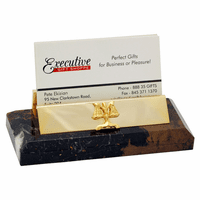 Two of the most important things you have to promote your business are a phone and your business cards. This unique desktop stand holds both in style. 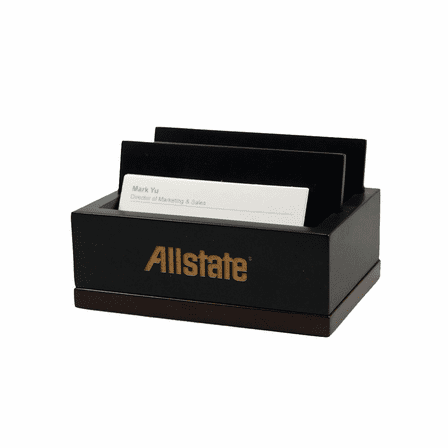 In front is a desktop business card holder that holds up to thirty cards. Behind the card holder is a phone cradle where you can safely nestle your cell phone until you need it. The black wood design is offset beautifully by the cappuccino wood base. Add custom laser engraving to the front of this desktop business card holder and cell phone holder free of charge, perfect for a gift for someone special. 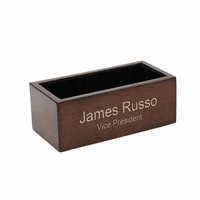 Dimensions: 4 3/4" x 3 7/16" x 2 3/4"
Can I fit additional business cards in the 2nd slot rather than the phone? Or is it designed differently to fit a phone only? 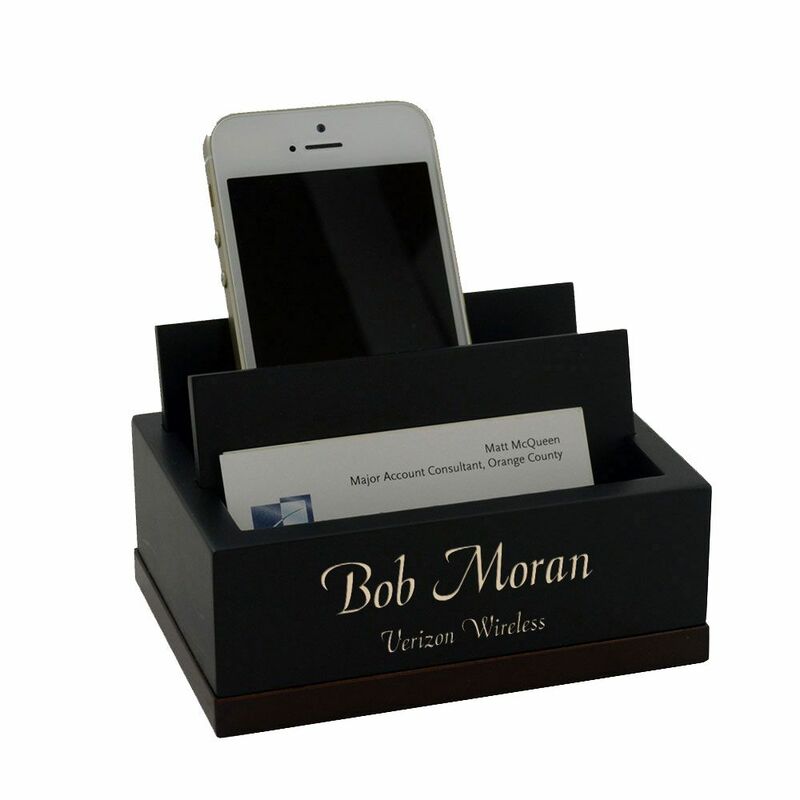 You can definitely fit additional business cards in the phone slot. Hi, I want to order 20 of the above. Can the personalization be a company logo (image below)? Can it be color or just white? Any additional charge? In addition to the 20 above, we are considering this for a holiday gift and may be ordering 150-200. 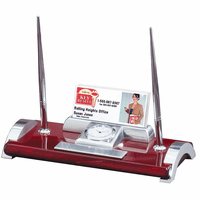 If we chose this item, would we send you the list of names/addresses? Yes, we can definitely add a logo to this. The normal way we would engrave a logo is to laser away the top layer of wood finishing to expose the lighter wood underneath. We can't do multiple colors but we could fill the logo in with a single color acrylic paint if you'd like. There is no additional charge for personalization. 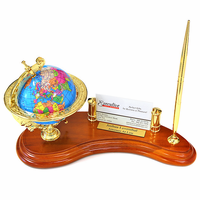 If you'd like to proceed, you can place the order on our website and in the comment section of our checkout page, write a note that you are emailing over a logo for engraving. Once we receive your logo, which we'll need in black and white, we'll email you back a proof before proceeding with production and shipping. Please let me know if you have any questions. Thanks!